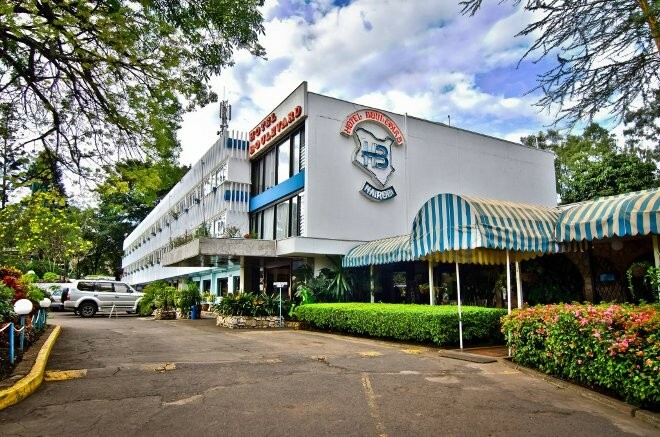 Sentrim Boulevard Hotel is one of the classic top hotels in Kenya's capital city, Nairobi. 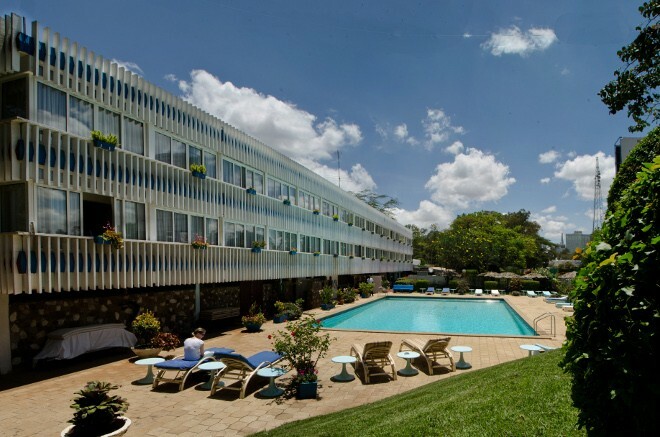 It is conveniently located at the end of Harry Thuku Road, a short distance away from Nairobi's busy central business district. The hotel lies amidst beautifully landscaped and manicured gardens and lawns where comfort, warmth and complete hospitality pertain. 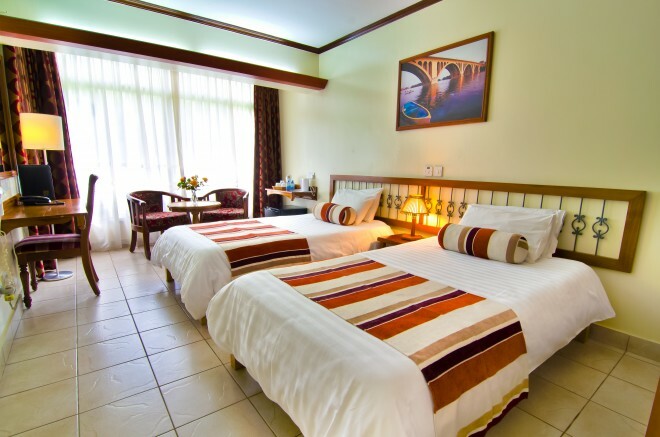 It is distinctive and stylish and offers executive accommodation while on holiday or business trip in Kenya. The Hotel offers exclusive luxury to those in quest of tranquility and a taste of Africa. Relax and unwind in one of the 70 en-suite rooms which are tastefully designed and well furnished. Individual suites with panoramic views overlooking the lush gardens. 30 of the rooms overlook the Pool side while another 40 are in the Garden Wing. In each room you find a safe, a satellite TV and a telephone. High speed internet connection is also provided upon request. The main guest area consists of the reception, lounge area, restaurant serving African, Chinese, European and Indian dishes and a bar. There is a swimming pool and tennis court for your relaxation and enjoyment. For meetings, conferences and family gatherings facilities are readily available. Enjoy finger-licking delicacies in Hotel Boulevard’s Restaurant and Bar where every taste is catered for with sumptuous local and international cuisines including Chinese cuisine. Our bar boasts various wines, spirits, cocktails and soft drinks for your taste. Picnic lunch boxes are available. The management and staff of the hotel are committed to making your stay as comfortable and memorable as possible. At this hotel you can expect 5 star service and quality at an affordable price and everything is close by. Would you like to stay at the Sentrim Boulevard Hotel? Please click here for best prices & availability!